SOUTHWEST ASIA -- Today, the 70 nations and four organizations that comprise the coalition that is dedicated to the defeat of the Islamic State of Iraq and Syria reflect on progress made in 2017 and look forward to 2018, Combined Joint Task Force Operation Inherent Resolve officials reported Monday. The defeat-ISIS campaign, which commenced in 2014, achieved its most significant progress in 2017 as key cities in Iraq and Syria, including Mosul, Hawijah, Qaim, Tal Afar, Raqqa and Tabqah, were systematically liberated from ISIS' so-called caliphate, officials said. During 2017, over 61,500 square kilometers of territory was liberated from ISIS across Iraq and Syria, meaning "more than 98 percent of the land once claimed by the terrorist group has been returned to the people," said Army Lt. Gen. Paul E. Funk II, commanding general of Combined Joint Task Force Operation Inherent Resolve. More than 4.5 million people were liberated from ISIS oppression in 2017, said Funk, who added this represents a "remarkable achievement by our partners leading to [the liberation of] a grand total of 7.7 million people over the three years of Operation Inherent Resolve." The coalition began 2017 with 67 member organizations, and concluded the year with 74, Funk said. This, he said, indicates that the international resolve to defeat ISIS is "stronger than ever, and we will continue our efforts to prevent the resurgence of this perverse ideology." However, ISIS' "repressive ideology continues," the general said. And, he added, the conditions remain present for ISIS to return. "Only through coalition and international efforts can the defeat [of ISIS] become permanent," Funk said. The coalition looks forward to further success in 2018, and those who made the ultimate sacrifice in the global effort to defeat ISIS in 2017 will be remembered, officials said. This includes hundreds of brave Iraqis and Syrians who gave their lives for their nations, service members from coalition nations and the many innocent Iraqis and Syrians who have died as a result of ISIS' terrorism, officials said. As 2018 begins, the Iraqi government looks forward to continuing to help its people rebuild after the nation's complete liberation from ISIS, officials said. Syrian Democratic Forces remain engaged in the final phases of liberating the middle Euphrates River Valley, officials added. Building on these accomplishments, the coalition's efforts are refocusing on supporting the international community's whole-of-government efforts to prevent the re-emergence of ideology-based terrorism and to assist partners in bolstering security that will enable stability in the region and around the world, officials said. The future success of non-military activity will be decisive in the defeat of ISIS, officials said. The coalition's contribution will be largely through continued training of Iraqi security forces and the Syrian Democratic Forces, who will provide security for their people and their national borders, officials said. 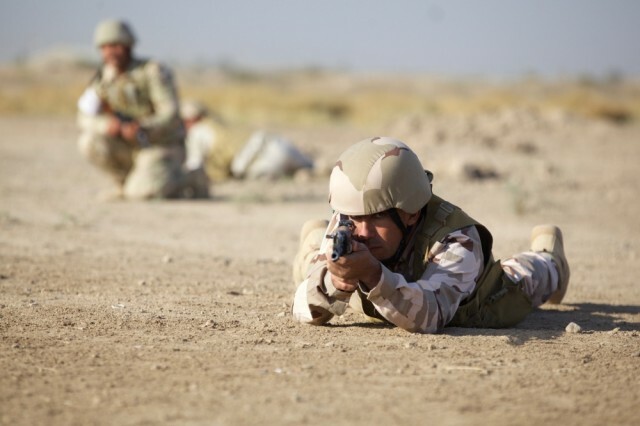 The coalition will build on the training that has already been delivered to over 126,500 Iraqis and more than 12,500 Syrians to date, officials added. 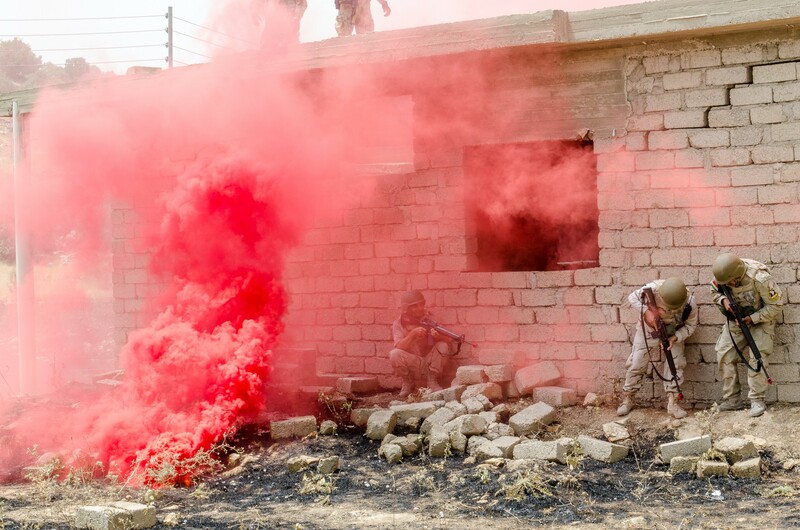 "Support from the international community is vital to the defeat of ISIS and achievement of stability in the region," said British army Maj. Gen. Felix Gedney, deputy commander of strategy and support for CJTF-OIR.